TED is owned by a nonprofit, nonpartisan foundation. Our agenda is to make great ideas accessible and spark conversation. Everything we do — from our TED Talks videos, to the global TEDx community, to the TED-Ed lesson series — is driven by this goal: How can we best spread great ideas? TED is owned by the Sapling Foundation, a private nonprofit foundation (a 501(c)3 organization under US tax code). The foundation was established in 1996 by publishing entrepreneur Chris Anderson. Many factors can amplify the power of ideas: mass media, technology and market forces, to name three. In the past, Sapling supported projects that used these tools to leverage every dollar spent and create sustainable change in areas such as global public health, poverty alleviation and biodiversity. More than $10 million was granted to enlightened organizations such as the Acumen Fund, Environmental Defence, One World Health, and PATH. Sapling is no longer accepting proposals for outside grants; the foundation has turned its focus to the impact possible through TED itself. Ever since the foundation acquired TED in November 2001, it has been seeking ways to allow the extraordinary passion and inspiration created every year at our conferences to effect beneficial change in the world. How does TED make money? TED makes money through conference attendance fees, sponsorships, foundation support, licensing fees and book sales, and we spend it as soon as we get it — on video editing, web development and hosting for TED Talks and TED-Ed videos (ideas are free, but bandwidth is expensive…); support for community-driven initiatives like TEDx and the TED Fellows, and of course, paying fair salaries to staffers and interns. Everyone who buys a pass to attend a TED conference is helping share free TED Talks video with the world, as well as supporting the TEDx program, free TED Fellowships, TED-Ed video lessons and more great stuff that is shared with the world for free. For this reason, a percentage of the attendance fee is a charitable contribution. TED Talks on the web are also supported by partnerships with carefully selected organizations; their ads on the videos and website support making TED Talks available to the world for free in many languages and on many platforms. We are very selective in the organizations we partner with. Other projects and initiatives are supported by foundation funding and individual donors. What does TED do with its money? TED.com and our mobile apps allow great ideas to be easily accessible anywhere in the world, for free. The TED Fellows program supports extraordinary new voices as they develop their careers in science, the arts, social justice and more. TEDx supports the creation of independently run TED-style events in communities around the world. The profits made by the TED conferences are directed toward these initiatives, and the Sapling Foundation welcomes contributions from those who share its philanthropic goals. Even more, it welcomes support from any organization or company that can help distribute "ideas worth spreading." 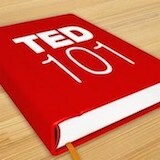 Get answers to commonly asked questions and misconceptions about TED.